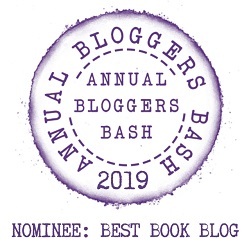 This week I am thrilled to be interviewing author Rich Amooi. 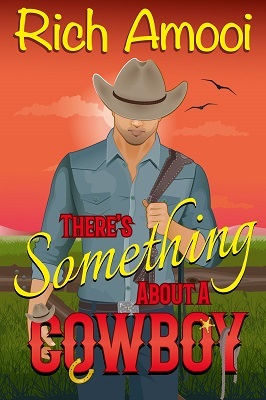 Rich will be sharing with us detail of his writing life, telling us all about his latest book ‘There’s Something About a Cowboy‘, which was released on 26th October 2018 and answering a few fun questions too. This post contains affiliate links. Rich Amooi is a former radio personality who now writes romantic comedies full-time in San Diego, California. He is happily married to a kiss monster imported from Spain. Rich believes in public displays of affection, silliness, infinite possibilities, donuts, gratitude, laughter, and happily ever after. 1) As a child did you have a dream job in mind? I used to listen to the radio 24 hours a day when I was a kid (yes, even while I was asleep). So, when I was eleven years old I had decided that I wanted to be a DJ on the radio. I ended up having a radio career that lasted thirty-three years before transitioning to my next career of writing romantic comedies. 2) Who was your favourite childhood author (s)? Dr. Seuss. I think I read Green Eggs and Ham over a thousand times. 3) Was there a particular point in your life that you realised you wanted to be a writer? Not until I was in my late forties. My hot Spanish wife had encouraged me to take a few writing classes at Stanford and that’s how it all started. 4) What is your average writing day like? Do you have any special routines, word count, etc? I make breakfast for my wife and prepare her lunch in the morning. After she leaves for work, I take our dog for a walk for about 45 minutes, then come home to get settled in for writing. I like to have a goal of 2000 words per day, but it doesn’t always happen. I usually last a few hours before I eat lunch and take a nap. Then I have a cup of afternoon coffee and try to get in a few more words before my wife gets home. When she arrives I make her a cup of coffee, then we both do things on our computers (usually social media stuff) by the patio until we are ready to take the dog out for her afternoon walk. Then a Zumba or Yoga class before or after dinner, depending on the day. We usually like to watch a romantic comedy movie before we read in bed. 5) How many books have you written? Any unpublished work? I have twelve books published so far and three more on the way this year. 6) Are you a plotter or a pantser? I started off as a panster in the beginning when I was writing short stories, but I found that was impossible when I tried to do that with a full-length novel. I need an outline or all my hair will end up on the floor. Rule #1: No Dating Cowboys. A fake fiancé doesn’t count, right? Oh boy . . .
Amy Weaver is tired of her dad meddling in her love life. Fed up, she hires an actor to play the part of her fake cowboy fiancé when she goes home for her grandpa’s ninetieth birthday. Sure, Luke Jenkins has got looks, charm, and muscular legs, but this is business, pure and simple. Things are fine and dandy until she finds out he’s a real cowboy, not an actor. Now, she’s stuck between a rock and his chiseled jawline, falling faster than a sack of horseshoes. How the heck is Amy supposed to ignore the sparks between them and stick to her rule of not dating cowboys? All bets are off. 7) How did you go about researching the content for your book? There’s Something About a Cowboy is set in quiet Julian, California, which is about an hour from where I live in San Diego, California. Julian is known for wineries and apple pies, so naturally we had to go there for some taste-testing. Uhh . . . I mean do research for my book. I also had to do a lot of research online about cowboys, living on a ranch, and riding mechanical bulls since the only thing I knew about cowboys had come from what I had seen in movies. 8) How long did it take to go from ideas stage to writing the last word? I think it took me about three weeks of brainstorming and plotting before I started writing the first word. I published the book about six months later. 9) How did you come up with the title of your book? I like to have fun with my book titles, so many of them were inspired by movie titles (Bored of the Rings, Lilliana Jones and the Temple of Groom, Dog Day Wedding, An Éclair to Remember, Madam Love, Actually). There’s Something About a Cowboy was inspired by the movie There’s Something About Mary. 10) Can you give us an insight into your characters? I like to make them as quirky as possible since my books have comedy, although most of the time the secondary characters are quirkier than the main characters. I like to torture them a lot, too. I ask myself what is the worst thing that can happen to this person, and then I usually make it happen. I’m so cruel. LOL. 11) What process did you go through to get your book published? After I write the first draft, my wife (Silvi Martin) reads it and gives me feedback. She’s also a published author (www.silvimartin.com) so she always gives me some amazing feedback. Then I make changes and send the manuscript to six beta readers. They give me more feedback, then I make more changes. Then it goes to the editor and two proofreaders. I typically have the book cover made before I start writing the story. I format all the books myself. 12) What’s next for you writing wise? I’m working on a romantic comedy called Dying to Meet You. It’s about a woman who wins the lottery, but then finds out on the day she gets the winning check that she is going to die unless she finds a one-in-a-million bone marrow donor. Basically, she has to win the lottery again. 1) If you could have any super power for the day which would you choose? I would like to be able to snap my finger and remove all the negativity and hatred from the world. Then I will throw the world’s largest pizza party. 2) Do you have any pets? Yes! We have a mini golden doodle named Tara who just turned a year old. She’s so funny, but we need to watch out for her because she likes to chew on shoes and socks. Who am I kidding? The hairy thing will put anything in her mouth! 3) If you decided to write an autobiography of your life, what would you call it? My Life is a Romantic Comedy. 4) Your book has been made into a feature film and you’ve been offered a cameo role, which part would you choose, or what would you be doing? Honestly, I wouldn’t be picky at all about the role because I would just be so excited that my book is being made into a movie. It’s a dream of mine (my wife says it’s going to happen soon and she is a wise woman) and I look forward to the day it happens. My author friend, Teri Wilson, has had a bunch of her books made into Hallmark movies and she has been an extra in every movie. I would be totally okay with that, too! Hey, Hallmark! Give me a call! 5) Where is your favourite holiday destination? Spain. I’ve been there seven times. It helps (and makes it a lot more fun) that I am fluent in Spanish. 6) A baseball cap wearing, talking duck casually wanders into your room, what is the first thing he says to you? That is the silliest question ever because ducks don’t wear baseball caps. Everyone knows they prefer cowboy hats. I would like to say a big thank you to Rich Amooi for sharing with us details of his writing life and for a wonderful interview. The above links are affiliate links. I receive a very small percentage from each item you purchase via these link, which is at no extra cost to you. If you are thinking about purchasing the book, please think about using one of the links. All money received goes back into the blog and helps to keep it running. Thank you. It’s a pleasure to feature you. I always love your weekly interviews. Rich’s Book sound superb too. Thinks I might just get myself a copy. Thank you. I hope you enjoy the book too. A-maz-ing love your interview and the book. Thank you, glad you like them both. I have just recently discovered his work and have adored what I’ve read! Brilliant, glad you enjoy his books. What a beautiful view! Great interview! I know it’s gorgeous. Thank you. Cowboys are an automatic one-click for me! Awesome interview. I mean ght have to check, his work out! Thank you! Amazing interview. I love Richs books. Thank you. Glad you like his books.